When you eat something that makes you feel sick, it might be easier to make yourself throw up than to deal with the discomfort and nausea. Then the question is how to throw up safely. It is important to be careful when throw up, though because the process can be uncomfortable and even painful. If you scratch or burn the throat, you can do permanent damage to the esophagus. Self-induced vomiting should not be used as a weight loss alternative because frequent vomiting can rob the body of vital nutrients and cause erosion of the teeth and esophagus from frequent contact with caustic stomach acids. Unfortunately, throwing up may be inevitable, if you have eaten something that makes you nauseous. Before thinking about how to throw up, you should make sure that you do want to throw up and find a proper place to do it. Nausea does not necessarily mean you need to vomit. However, in the event that throwing up becomes necessary or cannot be helped, there are signs, including lips turning pale, an increase in salivation, sweating or feeling very hot, experiencing dizziness and excessive stomach discomfort. If you are at home then the toilet is the best place to vomit. 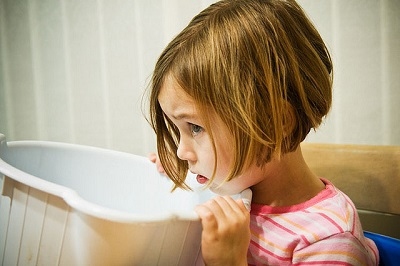 Using a bucket is also an option, if you are sick and stuck in bed. If you are outside, move away from people and any belongings. Try to find an open place like an empty parking lot or an area with trees. If you are experiencing a great deal of discomfort due to nausea, sometimes inducing vomiting is the only way to find relief. There are a number of ways that teach you how to throw up. Ipecac: Ipecac syrup is thought to be one of the easiest ways to induce vomiting. Following the directions, mix some of the syrup with some warm water and drink. It can take up to 30 minutes for the Ipecac syrup to work. 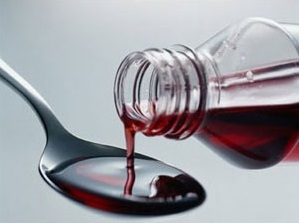 Emetics: Emetics, similar to Ipecac syrup, are substances that induce vomiting by irritating the epigastrium which leads to stomach contractions and push out the contents. Setting off the gag reflex is one of the surest ways to induce vomiting. Insert your first two fingers into your mouth toward the back of the throat, press down on or tickle the back of the throat and keep at it until you vomit. Watching someone else vomit can induce vomiting. The smell and sight of someone else vomiting can usually produce nausea and induce vomiting. But in some cases, you may still need to activate the gag reflex with your fingers. This remedy is passed down by generations. 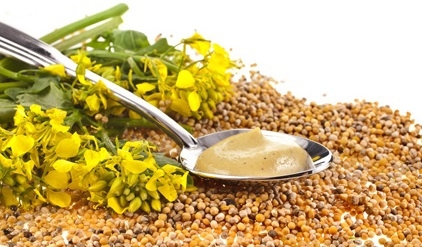 Mix 1 tablespoon of mustard into a cup of warm water to create an emetic that when drunk can induce vomiting. Drink the solution quickly and it should work within 20 to 30 minutes. 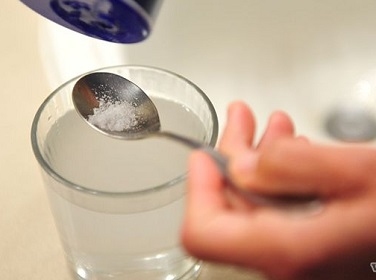 Mix three teaspoons of salt into sixteen ounces of warm water. Drink quickly. It should work within 20 to 30 minutes. Be very careful when using salt water as an emetic because too much salt can damage your organ. Slightly beat 2 to 3 egg whites and slowly gargle until the gag reflex is set off. 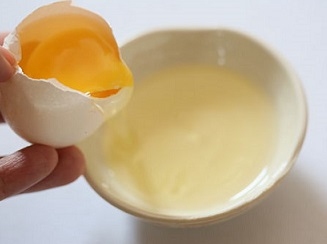 Spit the egg white out into a cup when this happens. You may need to try this 2 or 3 times before it works. Rinse your mouth with water several times. Do not brush your teeth after throwing up. The acid will soften tooth enamel and the brushing can scratch it. You shouldn't brush your teeth within an hour of vomiting. You can also smear some toothpaste on your teeth and gently wipe it off. Right after throwing up, you should not eat anything. Allow your stomach to settle down. When you do start eating again, eat slowly and keep meals small. Drink sufficient water: Vomiting can cause dehydration, so you need to replenish that fluid loss. Stick to clear fluids without alcohol, caffeine and acidic ingredients. Good options are sports drinks, clear broth, and flat ginger ale. Eat a banana: Bananas are a bland food that will go easy on the stomach. It also has potassium and magnesium that help your body regain balance. When you’re ready for solid food, take small bites and keep it to a bite or two until you know your stomach has settled and can handle the banana. Add whole grain into the diet: Whole grain toast is another bland food that the stomach will be able to tolerate after throwing up. Eat it plain at first to make sure your stomach can tolerate food. Then you can add a little bit of jelly or butter for flavor. Drink soup: Soup is a clear liquid that will help replenish lost fluid. Once you know you can tolerate food, you can add bland food to it such as steamed vegetables, cooked potatoes and brown rice. Server responsed at: 04/24/2019 6:06 p.m.